Remember when Dolce & Gabbana debuted crystal-embellished headphones on its runway? From then on, this techy item was firmly thrust into the realm of fashion accessories. Crystal headsets might not be practical for everyday wear, but with brands like Frends, Skinnydip and Happy Plugs specialising in sleek minimalist silhouettes with chrome, rose gold and marble detailing, a pair of stylish headphones has become a must-have for fashion girls. If you're a big music fan, there are plenty of established audio brands like B&O, Beats and Marshall whose sets offer top-notch sound quality as well as chic detailing, from leather ear pads to chrome frames. And if you need something super-portable, then in-ear styles have stepped up too, in standout petrol and marble finishes. And when you're not zoning out to your favourite tunes, headphones best worn slung around the straps of your new It bag so they can take all the limelight they deserve. 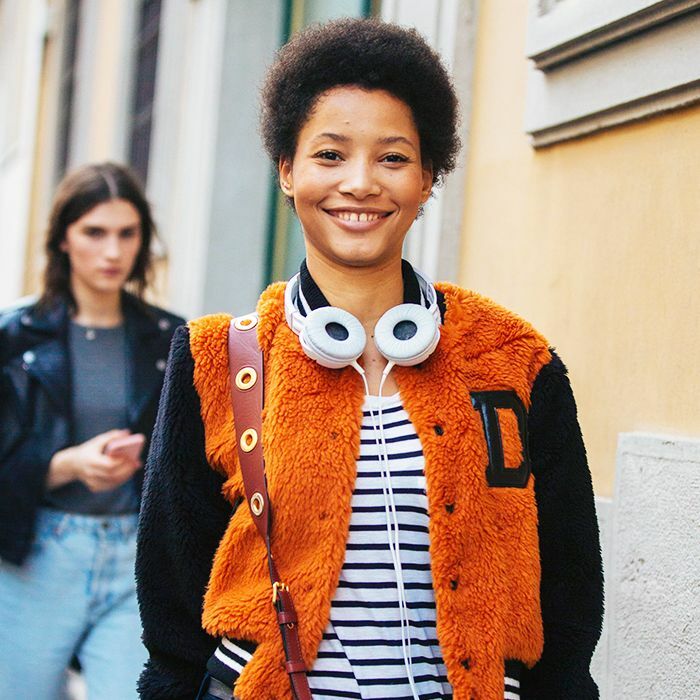 Scroll down to see and shop our edit of the coolest headphones. Cordless and they come in a cool mint shade. What's not to love? SkinnyDip's slick in-ear style boasts an eye-catching petrol finish. Go retro with Panasonic's classic oversize headphones in pastel pink. These classic Marshall headphones look old-school, but you can connect them using Bluetooth for hands-free listening. Headphones don't come much chicer than Kreafunk's minimal style. Because marble goes with everything. Frends are a fashion-girl favourite. Made from supple tan leather, these B&O headphones are the height of luxe and deliver on sound, too. Classic Beats in the prettiest rose gold shade: a must-have accessory for any girl who loves music. Next up, the biggest S/S 18 fashion trends you need to know.